Gulistan also offers carpet products that are created to perform well in your home. The yarns within the carpet fiber are built with increased turns to retain their integrity. They tuft these yarns into tight constructions with a better density than other more traditional carpets. 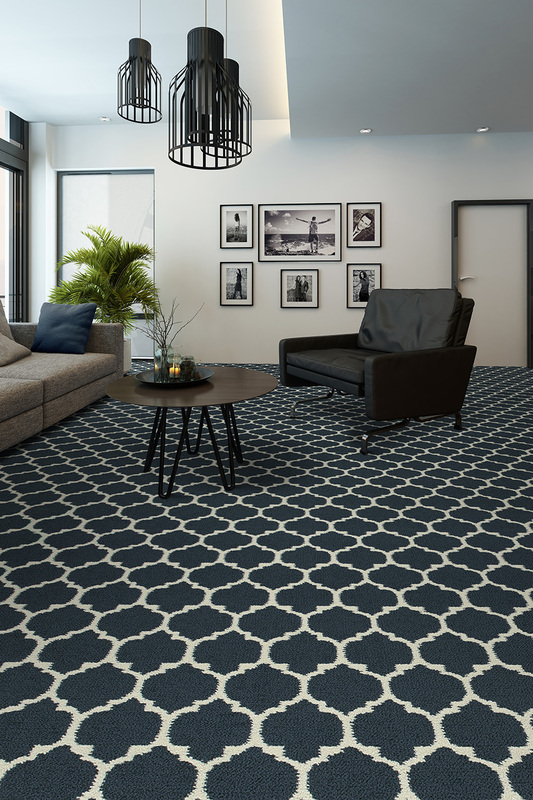 This construction will also add to the overall exciting visuals of the carpet that are not found in other carpet manufacturers. The Gulistan Estates Collection is a great polyester carpet offered at a nice price point. These products are offered in a Color-Lock solution died polyester that helps retain the integrity of the fiber and color over time. Each of the carpets in this collection is treated with ScotchGard Soil Release treatments which will help with stain and soil resistance. These products are backed with a life time fade resistance, stain resistance, and pet resistance warranty with 15 years for soil resistance, texture retention, abrasion resistance and any manufacturing defects. This carpet line consists of traditional plush textures, cut and loop finishes, and classical Lloyd Wright Patterns. The Gulistan nylon carpets are crafted by Stainmaster with the Pet Protect warranties found from other Stainmaster carpets. These nylon carpets are made with families and pets in mind. The nylon carpets also come with lifetime food and beverage stain protection, lifetime pet stain protection, lifetime soil resistance, 20-year texture retention, 20-year abrasive wear, and a 20-year fade resistance warranty.